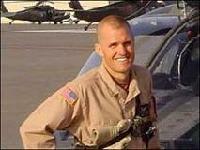 Chief Warrant Officer 4 Brent S. Cole, 38, of Linden, NC was killed in action in Afghanistan on Friday, May 22, 2009. He was killed in a AH-64D helicopter crash near Tarin Kwot, Afghanistan. He was deployed as part of the 1st Attack Reconnaissance Battalion (Wolf Pack) of the 82nd Combat Aviation Brigade. The crew of the CH-47D aircraft 86-01644 died May 30, 2007, in Upper Sangin Valley, Afghanistan, when their helicopter crashed due to enemy fire. They were assigned to the 3rd General Support Aviation Battalion, 82nd Brigade Combat Team, 82nd Airborne Division, Fort Bragg, North Carolina. Assigned to the 1st Attack Reconnaissance Battalion, 82nd Combat Aviation Brigade, 82nd Airborne Division, Fort Bragg, N.C. died Nov. 6 of injuries sustained when their AH-64 Apache helicopter crashed in Balad, Iraq. Spc. 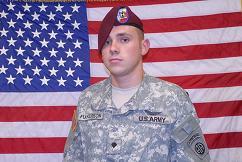 Timothy A. Fulkerson of Utica, Ky. assigned to the 1st Battalion, 82nd Aviation Reconnaissance Battalion, 82nd Combat Aviation Brigade, 82nd Airborne Division, Fort Bragg, N.C.; killed Oct. 8 when a landmine detonated near his vehicle during combat operations in Tikrit, Iraq. CPT Matthew C. Mattingly, died September 13, 2006 from wounds sustained when his OH-58 Kiowa was engaged by enemy forces with direct fire near Mosul, Iraq. He was the Commander of A Troop, 1-17th CAV. CW4 Lourey and CW2 Joshua Michael Scott died from injuries sustained on May 26, 2005 in Buhriz, Iraq, when their OH-58 (Kiowa Warrior) came under small arms attack and crashed. They were assigned to the 1st Squadron, 17th Cavalry Regiment, 82nd Airborne Division, Fort Bragg, North Carolina. CW2 Aaron Weaver and SPC Nathaniel H. Johnson <?xml:namespace prefix = o ns = "urn:schemas-microsoft-com:office:office" />were killed when the UH-60 Blackhawk MEDEVAC helicopter they were passengers on crashed January 8, 2004, near Fallujah, Iraq as a result of enemy fire. CW2 Weaver was a OH-58D pilot assigned to C Troop, 1-17th CAV and SPC Johnson was an Avionics Repairman assigned to DAMC, 82nd Avn. CPT Kimberly Hampton died on January 2, 2004. She was the pilot on a OH-58D Kiowa Warrior, Armed Reconnaissance Helicopter when it was shot down by enemy ground fire. She was Troop Commander of Delta Troop, 1st Squadron 17th Cavalry Regiment, 82nd Airborne Division, Fort Bragg, North Carolina.